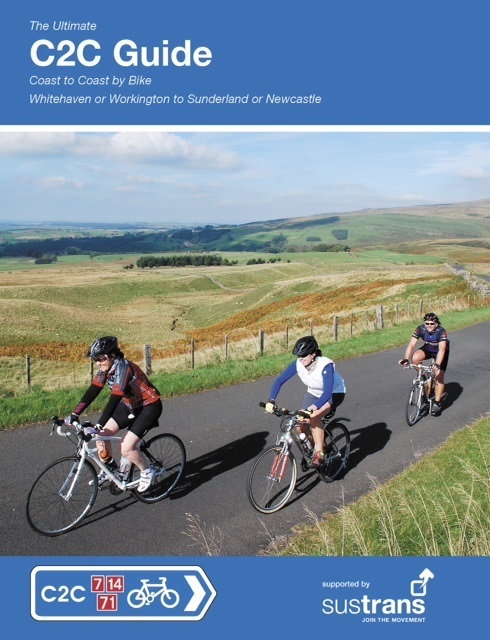 Launched in 2014, the Scottish C2C cycle route is the brainchild of the founders of the original runaway success story that is the C2C cycle route across the north of England between Whitehaven and Sunderland – David Gray and John Grimshaw CBE. 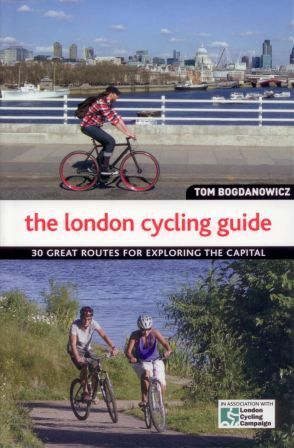 It’s also the latest guide in Excellent Books well-received Ultimate series of cycle route guides. 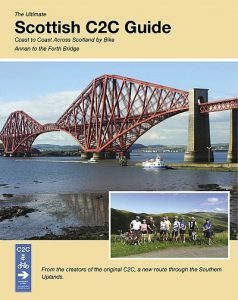 If you enjoyed the original C2C you’ll love the Scottish C2C.Running between Annan and the Forth Bridge, it’s a similar length to the original C2C (actually slightly shorter at 125 miles than most English C2C options) and certainly a little easier, involving around 3000ft less climbing (around 8,500ft compared to 11,500ft). 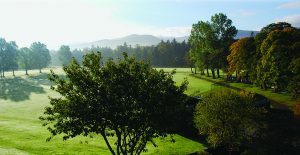 It passes through some of southern Scotland’s loveliest countryside, including the Annan valley, round the spectacular Devil’s Beef Tub landmark, the Tweed Valley and over the Moorfoot Hills. It then follows the beach-fringed Firth of Forth north of Edinburgh, to finish right by the mighty Forth rail bridge. This means it’s much more achievable as a weekend challenge. Signed and mapped, all major route sections are identified by the distinctive Scottish C2C sign and there are also spurs and route options often using parts of Sustrans’ National Cycle Network. 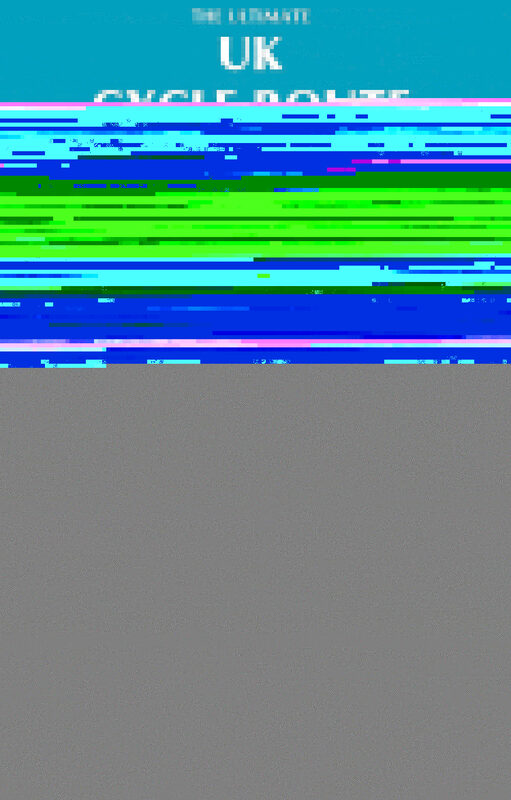 Navigation should be fairly straightforward. 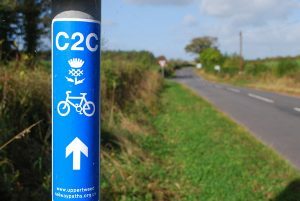 At road junctions there are C2C stickers on the posts of traffic signs or occasionally C2C stencils on the road surface. The off road sections have signs on gateposts or at other roadside locations. Overall, don’t expect to see signs or waymarking on long, junctionless stretches but do expect to find it at junctions. 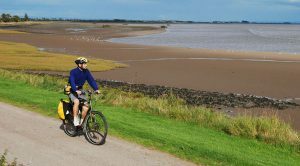 A route for all, the Scottish C2C cycle route includes gentle railpaths, nearly deserted roads through wild glens and some lovely waterside stretches. Towns are small and cyclist friendly and cycling provision around Edinburgh is some of the best in the UK. There’s opportunity to stop off at three of the 7 Stanes mountain biking trail centres and other attractions along the way are many and varied. Although the route is in its infancy, it has a number of options which offer a choice between on and off road, direct or meandering and scenic or even more scenic! Some options are well endowed with accommodation and refreshment stops, others less so. The future is likely to bring further route options and increase the amount of traffic free path available, with further accommodation and refuelling stops cropping up, no doubt. WHERE DOES THE SCOTTISH C2C ROUTE RUN? The harbour in Annan is a great starting point; it’s easily accessible from the town and has plenty of space for vehicles to disgorge bikes and riders. Though not as bustling as it would once have been, revamp plans may well give it a fillip. Another possible start point is the site of the former Solway Viaduct, by the sea to the south-east of Annan centre. All roads now lead to Moffat. 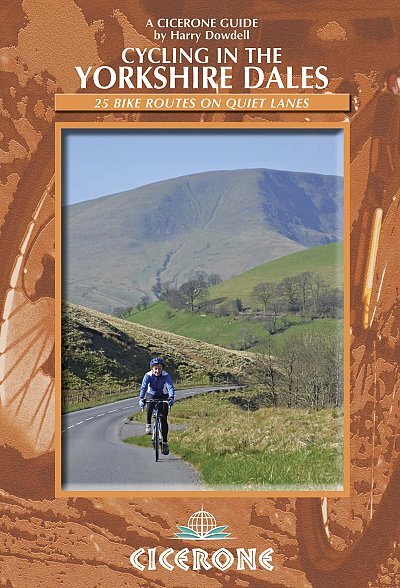 The main Scottish C2C cycle route goes north from Annan to pass through rich, undulating farmland past Lockerbie, crossing the motorway north of Johnstonebridge to roll into popular Moffat. The roads are very quiet indeed with gentle hills and attractive scenery. There is little on the route itself in the way of facilities but Ecclefechan and Lockerbie are close by and to the west Lochmaben is an attractive visit. The western route option goes down the coast and alongside the River Nith to Dumfries before heading through the hilly Forest of Ae to Moffat. It’s an option of two halves certainly, being in the main level, leisurely and on road up to Dumfries and in the main hilly, challenging and off road thereafter. The Moffat to Peebles section offers on and off road options, sweeping through the Annan valley to the dizzying heights of the Devil’s Beef Tub. From there a fast road descent from the route’s highest point takes you down the Tweed valley and into Peebles. In time there may be a full traffic free alternative down the valley to join the recently opened Tweed Valley Railway Path between Peebles and Innerleithen. The road route to the south of this path is also a delight. You’re in mountain biking country with the Glentress centre just east of Peebles. The route itself is a tarmac traffic free breeze from Peebles to Innerleithen. From Innerleithen only the Moorfoot Hills stand between you and the Edinburgh hinterland, a steady up and an exhilarating down leading to a panoramic view over the plain and the city. From here you drop down and head through Dalkeith and are now on largely traffic free paths all the way to the Forth Bridge. 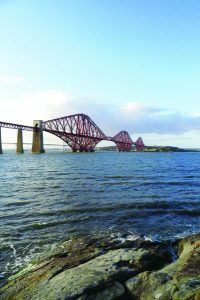 There are many splendid sections along Portobello promenade, the Leith railway paths, the Granton esplanades and the estate roads past Dalmeny House, which bring you to the piers of the Forth rail bridge – 125 miles from the start. WHAT SURFACE IS IT? WHAT KIND OF BIKE CAN I USE? All the roads used between towns are light on traffic. The A701 Moffat to Peebles section is lightly trafficked and in any case the ultimate route aim is to make an off road option available using wind farm access roads and a railpath along the Tweed Valley. Railpaths at Dumfries and between Peebles and Innerleithen are tarmac and probably some of the best examples you’ll find in the country. The off road routes through the Forest of Ae and up the Annan valley north of Moffat can, in places, be steep with rough surfaces and are probably more easily accomplished on a mountain bike – but there are tarmac alternatives. 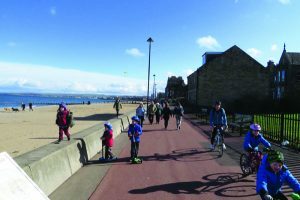 The off-road paths around Edinburgh (and along the city centre alternative route described in the guide) are simply some of the best quality and most picturesque urban bike routes in the country and are, in the main, good wide tarmac. 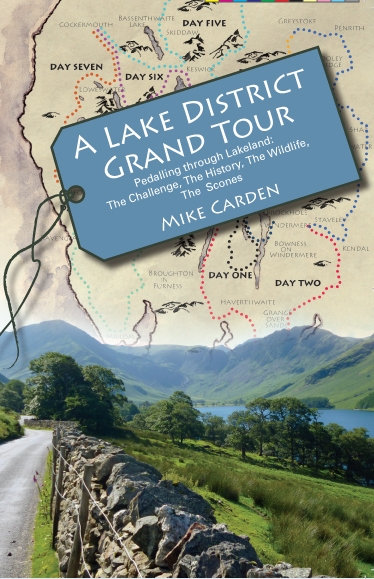 Like the English C2C, the route does contain some long climbs and some of the off road options have sections of rough surface, but careful selection of alternatives should allow any type of bike to complete the ride, though road racing bikes, tricycles, bike trailers and tandems are probably as well not using the Ae Forest and the off road option north of Moffat (both optional anyway). 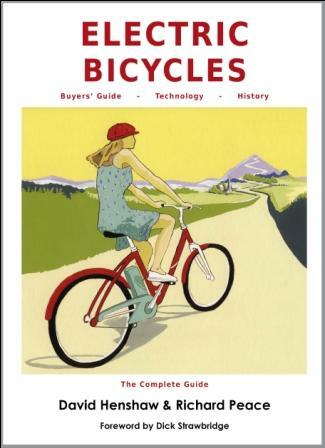 If hill climbing isn’t your bag anyway, perhaps look at using an electric bike. Yes – start point Annan is around 8 miles from the M74 or a 20 minute train journey to Annan station from the major rail interchange of Carlisle. Guide and map shop link. Or click below to place in the basket.